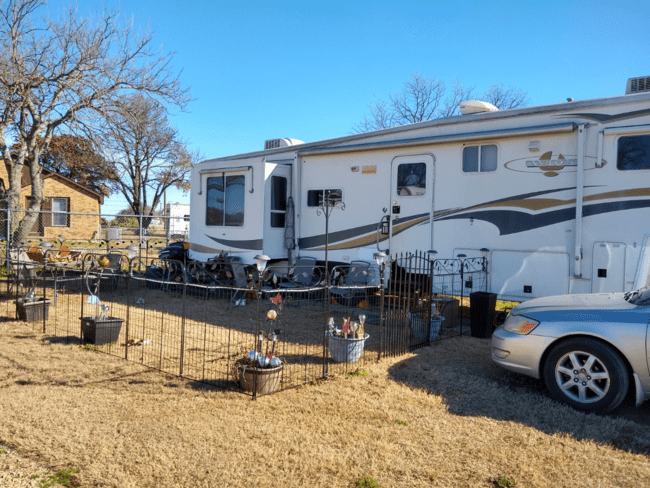 Welcome to Clean Living RV Park! We pride ourselves on providing a safe community that is fully fenced in with electric gate access, and classified as a gated community. 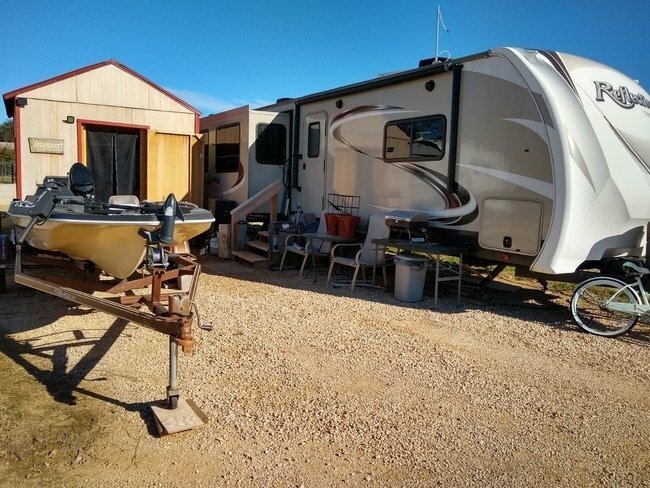 We provide a lot of excellent amenities for our residents, and all of our RV sites come equipped with either the option of 30 or 50 amp hookups with an additional 110 volt plug for additional needs, which make hooking up your RV easy and convenient. 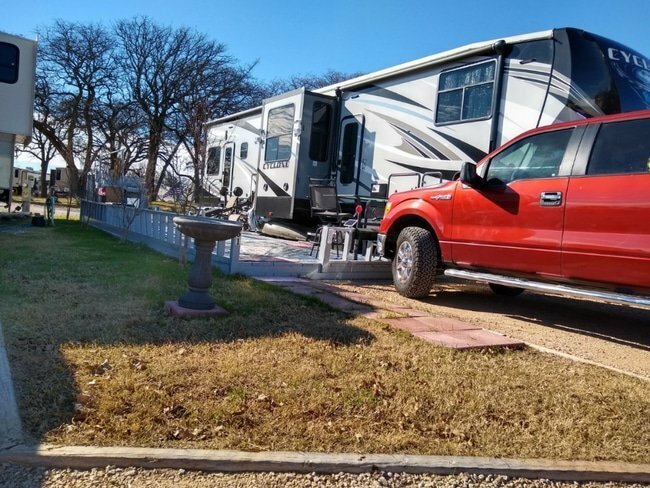 We provide free wi-fi for our RV residents, and we have several amenities on-site including a modern commercial laundromat, a clubhouse, a Texas Room for cooking and events, overflow parking, workout room and a dog park. 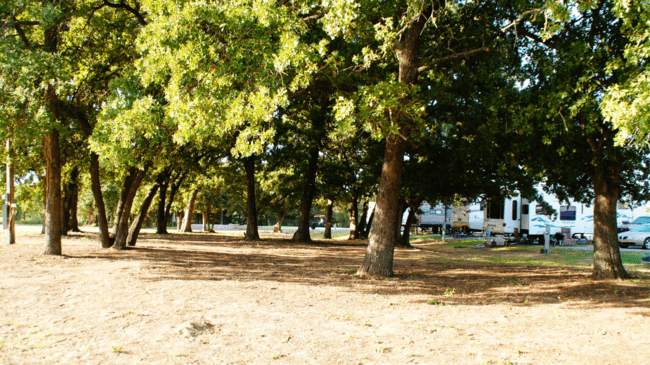 We are a pet-friendly RV park that includes a large fenced in dog park on premises. We are located near Eagle Mountain Lake, in Azle, Texas, and we are just a short distance from downtown Fort Worth. 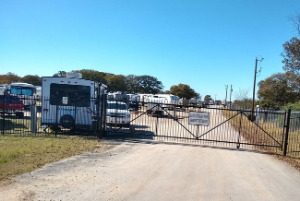 Here at Clean Living RV Park, we make sure to also provide our residents with a safe and secure environment. 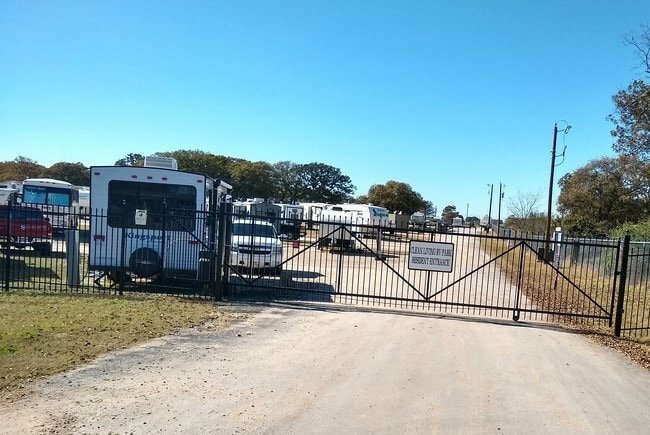 We are classified as a gated community, and the only access to our 10 acre park is through an electric gated fence. 90% of our residents are monthly long term residents, but our community does welcome those that wish to stay for a shorter time, as well. Regardless of the time you plan on staying with us, you will have full access to all of our amenities. We have a new event room that comes with a full kitchen, which will allow for get-togethers in the community, and all of our sites accept both 30 and 50 amp hookups. So, there is no reason to worry about not being able to hook up to electricity while staying with us. 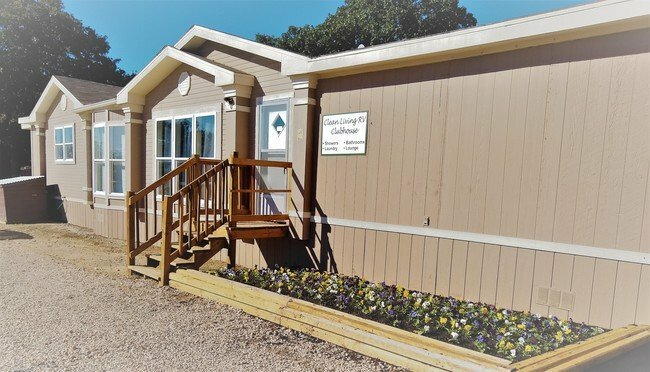 We also provide free wi-fi for our residents, which is accessible in all of our common areas and in the privacy of your RV. 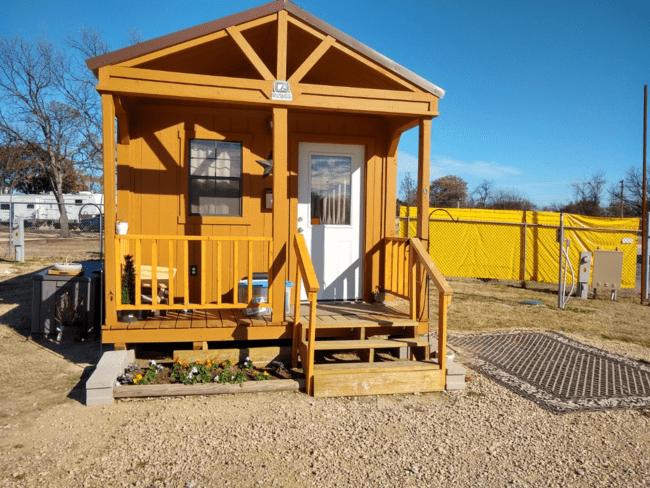 You are welcome to bring your own deck/shed with you or build one during your stay. 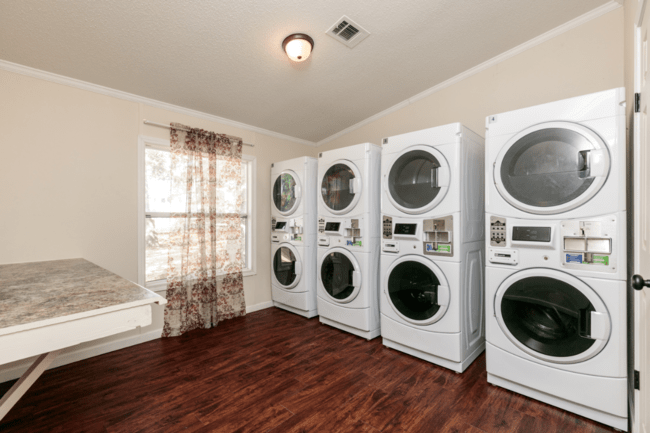 Our onsite clubhouse has a laundromat with 4 modern large commercial washing machines and dryers, and we have 3 full bathrooms with showers that all of our RV Park residents are free to use. You can ask us about our security measures to quiet your worries about the safety of our park and the safety of our guests. Plus, we are a pet-friendly RV park. 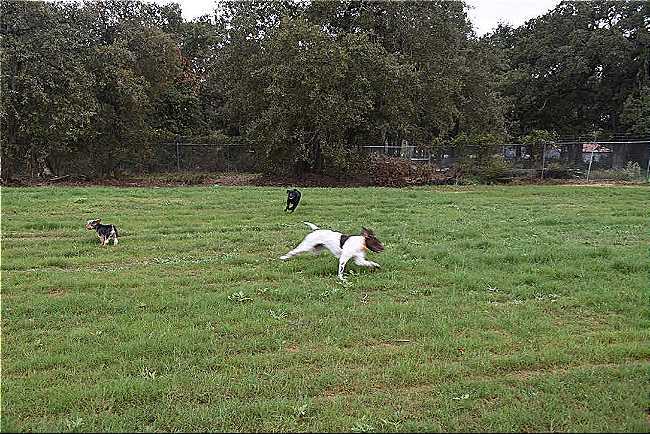 We even have a large fenced-in dog park available for our guests with four-legged family members, and we have onsite overflow parking available for anyone who is staying at our RV park. 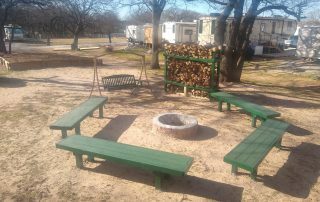 Not to mention, we have been voted the Best Campground Near Fort Worth for many reasons by outsiders and those that have stayed with us in the past. 90% Monthly Long Term Guest. Clubhouse with Leisure Area and Office. Bring Or Build Your Own Deck &/Or Storage Shed If You Like. 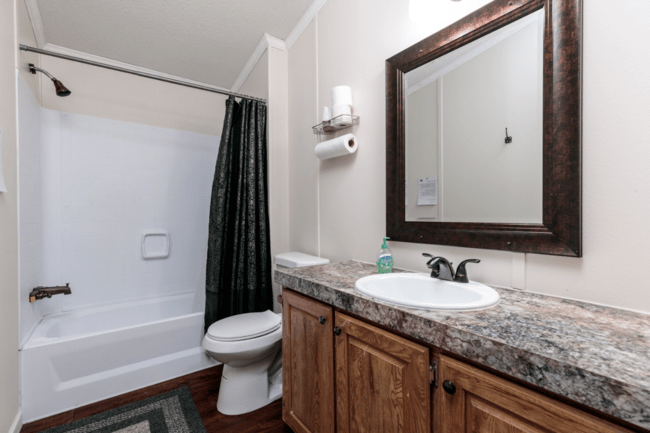 3 Full Bathrooms with Showers for RV Park Guests. 7 minutes to Eagle Mountain Lake. 6-minute drive to Azle, TX. 14551 FM 730 North (Boyd Rd), Azle, TX.